On the back of a brilliant and courageous performance at this years prestigious SAY Awards, and an equally captivation set at the West End Festival’s closing party, Miaoux Miaoux (26-year-old producer Julian Corrie) is making quite the impression on the Scottish music scene. His album Light Of The North, and my soundtrack to summer, is full of up-tempo melodic beats and grooves, and includes vocals from the likes of the seriously talented Edinburgh based MC Profisee, and the wonderful Anna Miles. It all kicks off with the fast paced ‘Sweep Clean’ featuring Corrie’s crisp and vivacious vocal over electro, synthy pulses. The pounding ‘Autopilot’ is genius; it has a filthy throbbing base coupled with those all too familiar and hardhitting lyrics; “it’s very sad to see you this unhappy when you’re with me”, yet maintains a soft and dry chorus to contradict things, and mix it all up a little. On the surface, ‘Better For Now’ has to be the ultimate road trip song, although dig a little deeper and you’ll see that this joyful image is juxtaposed with its account of a relationship breaking down and Corrie stating “I’ve seen something amazing, gradually fading, maybe it’s fate that we let it lie”. ‘Hey Sound!’ ss boom, straight in there, no messing around with its dirty, pulsating beat which grabs you by the short and curlies from the word go. Then you are hit with arguably the best track on the album, the slick and effortlessly cool ‘Is It A Dream’ with its café-mambo flare and featuring an outrageously sick vocal from Miles. But Corrie hasn’t finished with you yet, and ‘Virtua Fighter’ with Profisee is potentially the catchiest song of the year. Its synthpop beat plays homage to the tracks original name, ‘Microsoft Word’, which the hip-hop slant works perfectly with. There are some serious dancefloor contenders in here too with the likes of ‘Stop The Clocks’ and ‘Cloud Computer’. Both are pretty sneaky in that they lull you into a false sense of security before exploding into an unexpected, but awesome, frenzied crescendo. After building you up into a state of delirious raving, Corrie slows the pace down with ‘Singing In The Dark’ and ‘Ribbon Falls’. Although neither packs quite the same punch as some of the earlier tracks, they are definitely needed in order to deal with the musical comedown after such an outstanding record. 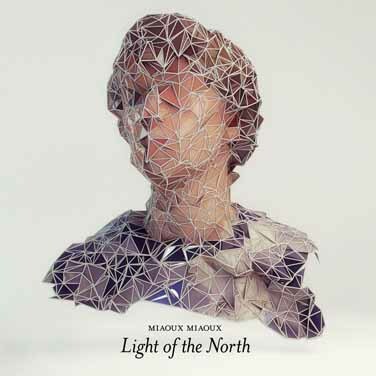 Everything about Light Of The North is just so achingly cool in a sort of Drive kinda way, and I really hope the 2012 SAY shortlist has Miaoux Miaoux’s name written all over it.